Dunn was a teacher of mathematics and navigation. who was an important cartographer, an astronomer and mathematician, a writer and inventor. Samuel Dunn (1st cousin, 6 times removed) is one of the few forebears that you will encounter on this site who made his mark beyond the circle of his friends and family. At the tail end of the Enlightenment, he was an astronomer, geographer, cartographer and teacher of mathematics and navigation, and as such, very much a product of that period of Reason and Science. Born and brought up in Crediton, it seems that he was the son of a school teacher, and Samuel interested himself in mathematics at an early age. He was "habituated to measure the stars" and after the death of his father in 1744 plotted the location of his grave as "20 yards from the North West Corner of the Churchyard" He tells us in his will," in 1743 I had been some time keeping a school and teaching writing,accounts, navigation, and other mathematical science although not above 20 years of age"After this school was destroyed in 1743 in one of Crediton's several fires, teaching in another school in the Old Church House, Bowden Hill, did not satisfy his ambition, and he went to London at Christmas 1751, where he was made master of an Academy at Ormond House, Chelsea,“where young noblemen and gentlemen were not only instructed in the theory and practice of navigation and commerce, but practically exercised in both”. He was soon writing textbooks and designing instruments and navigational systems and was an acknowledged expert on navigation. 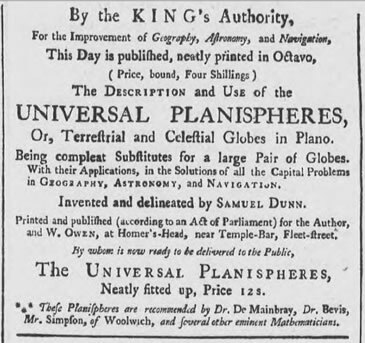 He first caught the public’s notice as the inventor of a practical innovation - ‘universal planispheres, or terrestrial and celestial globes in plano, an economical method of teaching spherical geometry without the expense of purchasing actual globes’. 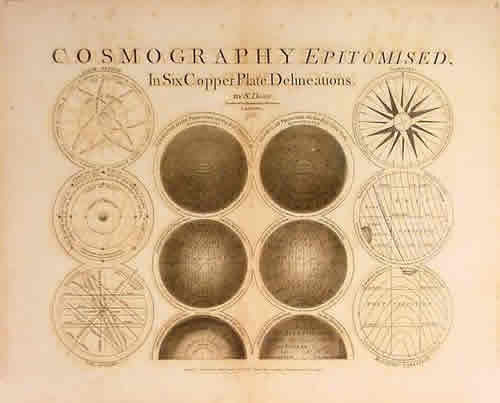 His accompanying bookT he Description and Use of the Universal Planispheres (1759) was the first of many of his textbookscovering all aspects of mathematics and navigation. The school had an observatory, which Samuel made good use of. He became a consultant to the great East India Company, and his work was brought to the attention of the Board of Longitude and the Royal Society. Although he sent the latter nine papers, and was a frequent visitor to the Society he was never elected a Fellow. On 2 June 1763 in St Margaret's, Westminster, he married a Mrs. Harrison who kept a girls' school at Brompton Park, near Kensington - to all outward appearances a flourishing establishment. In truth the lady was heavily in debt, a fact concealed until after the marriage, by which her liabilities in law automatically devolved upon her husband. Because of his love for her Dunn accepted the situation, hopeful that after his assets were disposed of in bankruptcy, they could start afresh. But at this juncture his wife decamped, never to return. Dunn was done - "I can", he said, "seek no business without the hazard of being arrested, cannot appear in any decency for want of my apparel, and can do no teaching for want of my books." In his will he left his wife £10 only - "She having withdrawn herself from me for 30 years". Friends found him the means to continue his teaching, as his reputation as a mathematician and writer on nautical astronomy grew. He took on private pupils, and family stories allege that he was tutor to George III. His friends included Benjamin Franklin, who lived near him in London, and Nevil Maskelyne, the Astronomer Royal. When the Nautical Almanac was introduced (for the year 1767) the Board of Longitude ruled that all ships' masters appointed henceforth had to have a Ships' Masters Certificates of Competence, and until 1771 Dunn was among the teachers authorized to sign these certificates. 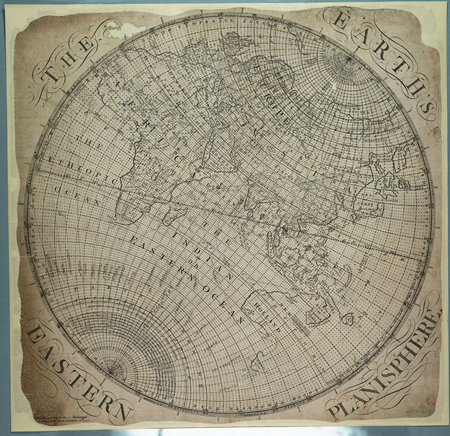 Dunn was involved with the East India Company and from the 1770s he prepared charts for far eastern waters. In A New Variation Atlas (1776) and A New Epitome of Practical Navigation, or, Guide to the Indian Seas (1777), dedicated to the company, Dunn introduced an original solution to the double-altitude problem. Where the approximate latitude was known two observations were to be taken of the sun's altitude, and the time elapsed between observations noted; calculations following Dunn's formula then yielded the true latitude. This solution was a remarkable discovery and later formed the basis of the 'trial and error' method for finding longitude. It also led towards position-line navigation. In 1780 he succeeded William Herbert as editor of the New Directory for the East Indies. He applied himself in picking out the safest and most direct routes to the East Indies and other parts of the world: and in 1787 the East India Company's hydrographer, Alexander Dalrymple, made plates of his charts available so that Dunn could group and print them for the sixth edition of the Directory. In 1788 a committee appointed by the Company to report on Dunn formed so high an opinion of his abilities that he was engaged as examiner in mathematics to their cadets, and in 1792,when presenting the Company with one of his newest works, he expressed the wish that it would be instrumental in preserving their valuable shipping. Dunn also sought to improve instruments for navigation and cartography. 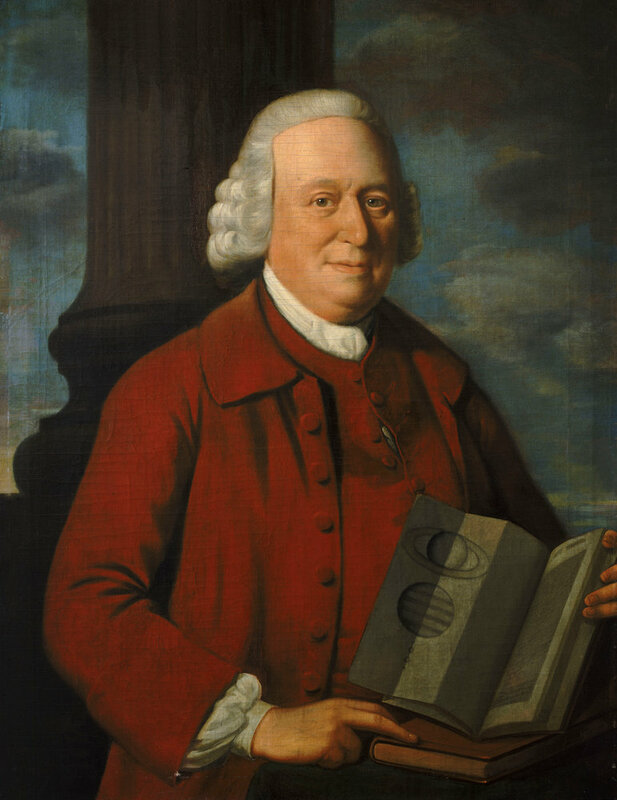 An angular micrometer which he demonstrated to the Royal Society in May 1761 was made for him by the firm of Heath and Wing in the Strand, and his pantograph, described in The Theory and Use of the Pantographer (1771), was made by their successor, Thomas Newman. In 1768 he showed to the Board of Longitude models of a sextant for taking large angles, for which he was awarded £20. It was tested by an expedition going to the Arctic regions to observe the 1779 transit of Venus. As Samuel himself by then also had a well-established reputation as an astronomer, he was invited by the Astronomer Royal to observe the same transit from the Royal Observatory, Greenwich, on the evening of 3 June. 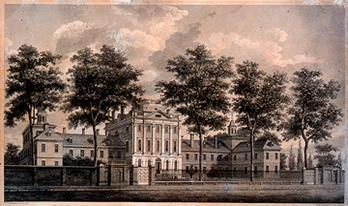 In 1758 Dunn became master of an academy at Ormond House, Paradise Row, Chelsea, where he seemed to have taken advantage of the good observatory located at the school. 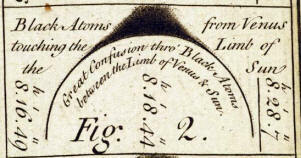 He observed a comet there in January 1760 and was able to observe and record the transit of Venus in 1761. A transit of Venus across the sun takes place when the planet Venus passes directly between the Sun and the Earth obscuring a small portion of the Sun's disc. During a transit, Venus can be seen from the Earth as a small black disc moving across the face of the Sun. Transits appear in pairs separated by gaps of eight years only every 120 years or so. So rare are the events, in fact, that to this day, only six transits of Venus have been seen in the nearly four centuries since Galileo first turned a telescope toward the heavens (in 1639, 1761, 1769, 1874, 1882, 2004 and 2012). The next pair of transits will occur on December 10-11, 2117, and in December 2125. Dunn used his angular micrometer to measure the diameter of Venus and the planet’s distance to the sunspots. He calculated from the time it took for the dusky penumbra to cross the solar limb that the Venusian atmosphere was about 50 miles thick, or about the same as the Earth’s. When the second transit of the pair was due, Dunn was well known, and it was proposed that his sextant for taking large angles be tested by an expedition going to the Arctic regions to observe the 1769 transit. 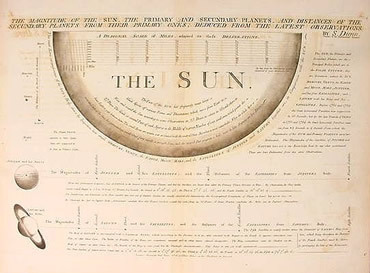 Dunn himself was invited by the Astronomer Royal to observe the transit from the Royal Observatory, Greenwich, in the evening of 3 June, which he did in the company of Maskelyne. 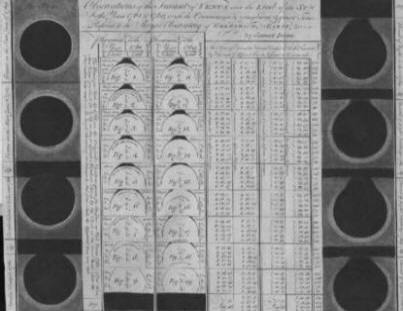 In his "A Determination of the Exact Moments of Time" (London, 1770) Dunn provided this large folding plate (right) to compare the appearances of Venus in transit in 1761 and 1769. He also tabulated the timings of the events, drawing on his own observations and those of others, and noting the powers of the various telescopes that had been used. Not all Dunn's proposals to the Board met with approval. His method of finding the longitude of ports and another for drawing magnetic isolines at sea were rejected. 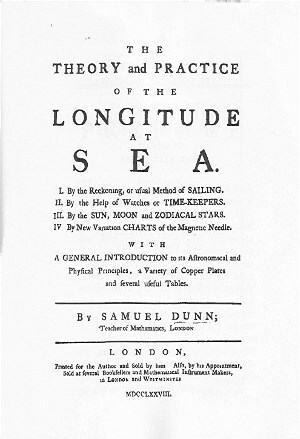 His Theory and Practice of Longitude at Sea (1786), dedicated to the Company of Merchants, was ahead of its time. Watches were still rare in his day and the method matured only after his death. 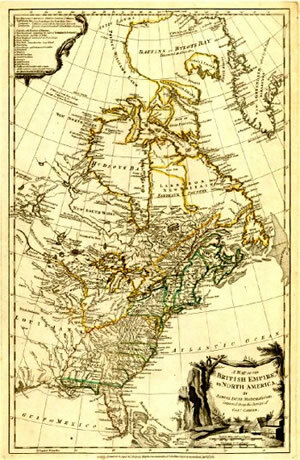 Samuel created numerous maps, many of which were published in his New Atlas of the Mundane System in 1774. 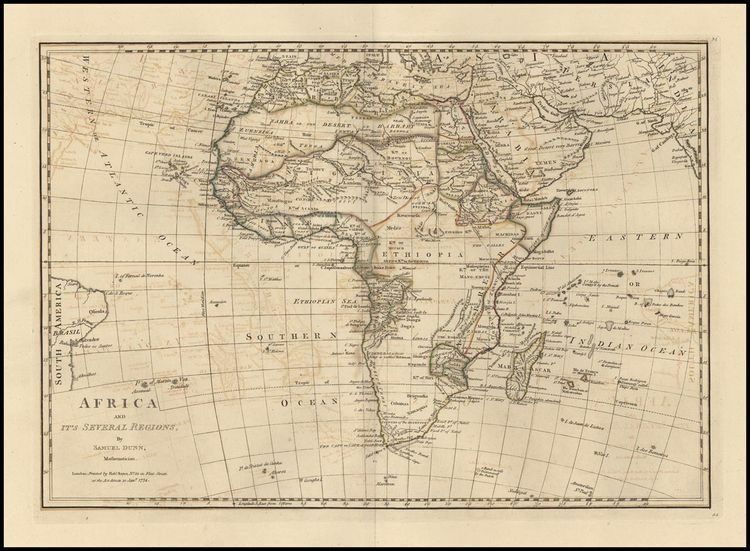 Editions of this popular atlas were still being published in the 19th century. Samuel died in January 1794. He was buried in the south aisle at St Dunstan-in-the-West on Fleet Street. Being childless Dunn's estate went to his cousins at Crediton, William, Thomas and Mary Dunn [my g-g-g-g-grandmother]. And a bequest of £600 in Bank of England 5 per cents was allocated for the funding of a teacher (the appointment to be overseen by twelve Governors of the Church in Crediton) at the sum of £30 per year, at the Bowden Hill School in Crediton where Dunn had once taught, in which "writing, navigation, the lunar methods of taking longitude at sea, planning, drawing and surveying" should be taught to six boys, preferably those named Dunn or Harris, otherwise to boys of the district belonging to the Established Church. The master was to be of the Church of England, but not in Holy Orders. The school was opened in 1794 by a Mr. Richard Gilbert. Crediton was thus given an opportunity to grow her own sailors scientifically trained for their profession: but the well-intentioned plan seems to have failed, for whilst the school flourished for many years, at different locations around the town, navigation was never to be a significant feature of its curriculum. Finally, in 1911 the school was absorbed by Queen Elizabeth's Grammar School. The family story about Samuel is that he was tutor to King George III. I have not yet found any evidence for this, but in the Exeter Flying Post of 30 July 1887, the same story was printed as fact by the newspaper. What seems to be certain is that he advanced the science of navigation considerably; he was an inventor, an innovator, an artist and an entrepreneur. He is all but forgotten by his home town though his legacy in more ways than one was a rich one for the town, and for the nation. His maps and prints are still widely available today on the internet, and reproductions of them from a number of sources including the National Maritime Museum. .
1758 Proposes the opening, by subscription, of a Philosophical Lyceum or Experiment Room, "for shewing the Principles of Natural Philosophy"
1759 Publishes first text book, on "Universal Planispheres"
1762 M De La Lande of the Royal Academy of Sciences at Paris mentions some questions raised by Dunn concerning the Transit of Venus in a letter to the Astronomer Royal. 1763 Samuel marries Elizabeth Harrison and moves to Brompton Park, Kensington where she keeps a girls' school. He gives up teaching at Chelsea and undertakes private teaching at Brompton Park. 1764 Observes the eclipse of the sun on 1 April from Brompton Park. Visits Paris and makes a short tour through France. 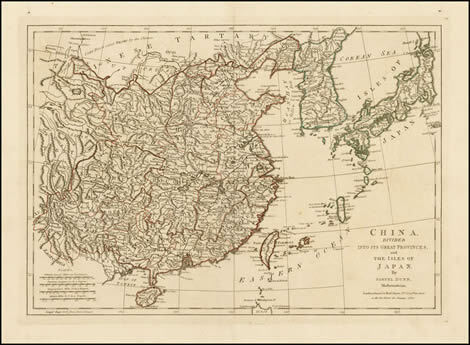 His writings comprised pamphlets, lectures, textbooks and practical guides, and he was responsible for at least eight collections of maps or atlases. One of his most important publications was The New Atlas of the Mundane System. The first edition was published in 1774, the second in 1788 and the third in 1794. The first edition was 62pp, and too early for the Australian continent to be included, its discovery by Europeans being too recent for detailed charts to be created. By the third edition two more pages were added and Australia was included. The subjects of his other works were largely Astronomy and Navigation. Samuel seems to have singularly failed to be accepted by learned societies. His nine papers appearing in the Society's Philosophical Transactions notwithstanding, he was not made a Fellow of the Royal Society. There are references on the internet to his membership of the Philosophical Society of America. Indeed he asserted as much himself, but though he sought membership he never was admitted. 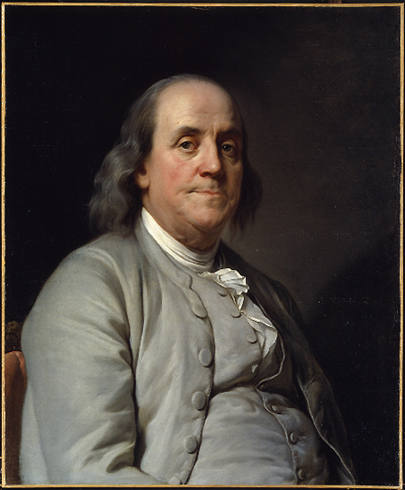 He wrote to the Society naming illustrious Benjamin Franklin as a possible proposer. 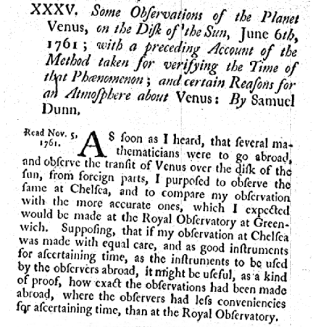 I sent you last year my Observations on the Transits of Venus in 1761 & 1769. I now send herewith a Chart of the Stars used in finding the Longitude of the Moon, invented by me, & Engraved (tho' Coarsely) with my own hands. Dr. Franklin will do the Honour of proposing me to be a Member of your Society. Your most Obedt. Humble Servant "
Dr. Franklin had been a founding member of the Society. Perhaps he was busy about the American Revolution when Samuel needed his support! For whatever reason, membership was not forthcoming. The American Philosophical Society still holds a First Edition of the New Atlas of the Mundane System which Franklin presented to them. Had he received it as a gift from Dunn? Treat yourself to a magical story inspired in part by Samuel Dunn and a little known dimension of his life. Stuffed full with adventure and fantasy, The Pageant by Angela Blaen is available from Nymet Books. It is no coincidence that it was published at the Winter Solstice!